Multi-media concerts commemorated 125 years of Salvatorian Presence in the U.S.A. The Society of the Divine Savior’s (Salvatorians) traveled coast to coast in 2017 commemorating 125 years in the United States. The events kicked off in December 2016 in Tucson, AZ with the release of Fr. Joe Rodrigues SDS fifth music CD. The CD, titled "Mission of Mercy: Fr. Joe and Friends" highlights his religious orders’ 125th Anniversary of ministry in the United States and culminates the “Year of Mercy” as designated by Pope Francis. In fact, the CD is dedicated to Pope Francis and his inspirational message. Rodrigues leads multi-media concerts and programs in various regions throughout the U.S., in collaboration with Salvatorians from each area. 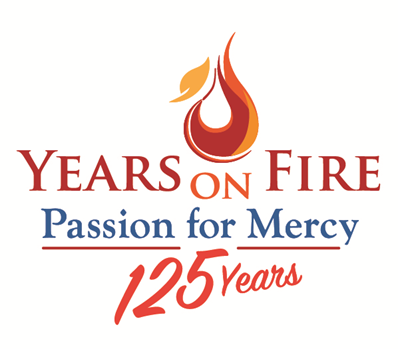 The events, filled with laughter, inspiration, dance and songs from the “Mission of Mercy” CD creatively captured the Society’s 125 years of mission and spoke to the enthusiasm the community has for the future. This messaging was intertwined with songs from the newly released CD [proceeds from the CD will benefit the mission outreach and ministries of the U.S. province]. “I love being a priest, I love to serve, and I love affirming and encouraging God’s people with inspirational and moving music! I have been fortunate to combine my musical interests to help spread hope-filled messages in a world riddled with fear and despair. It becomes an invitation for people to consider how merciful God truly is in our lives. As Jesus saying in Jn. 10:10,’I did not come to condemn, but to save, so that you may live life and live it to the full!’ proclaimed Rodrigues. To order “Mission of Mercy,” go to our Facebook STORE. You can also call (414) 258-1735 or email sds@salvatorians.com. Proceeds from CD sales will benefit Salvatorians mission outreach. Fr. Joe has produced four other CDs – “Chorus of Faith,” “Sing Divine Fire,” “Desert Rain” and “Spirit of Christmas.” CDs are available for a $15 donation.